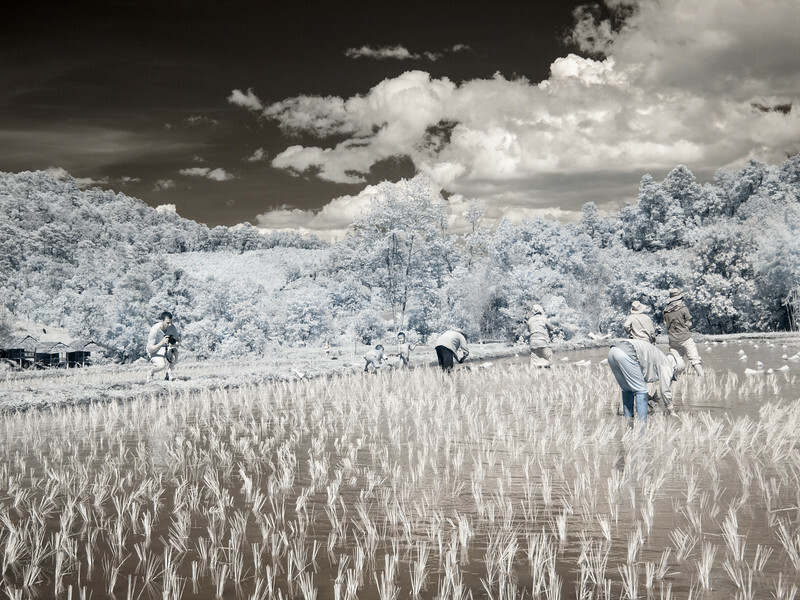 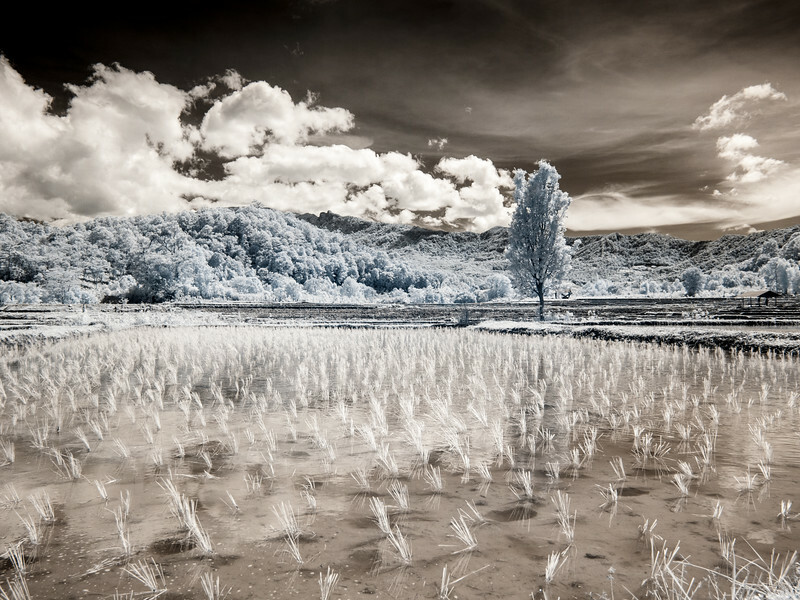 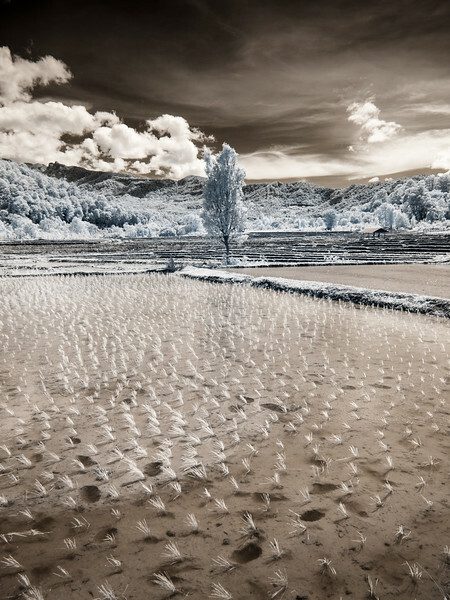 Some infrared (720nm) shots on a drive through hill tribe country in Chiang Mai. 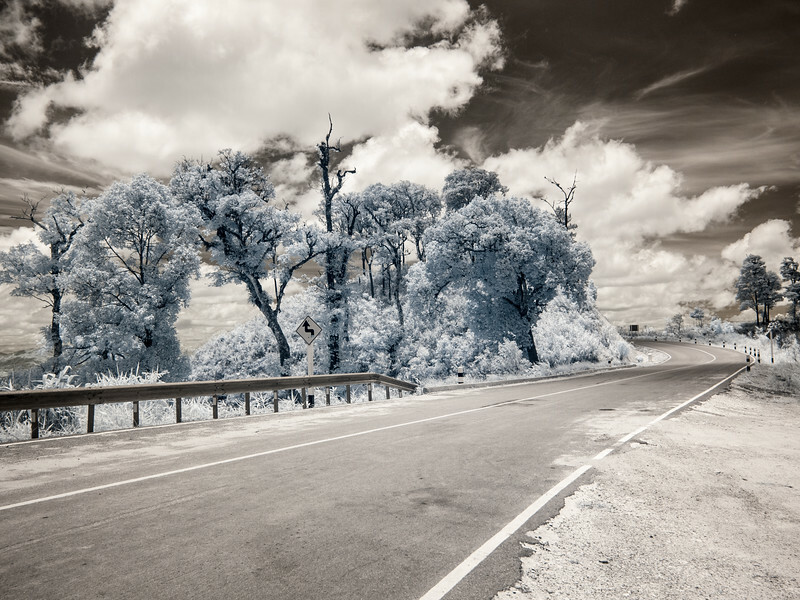 Photo credit here to "Woody." 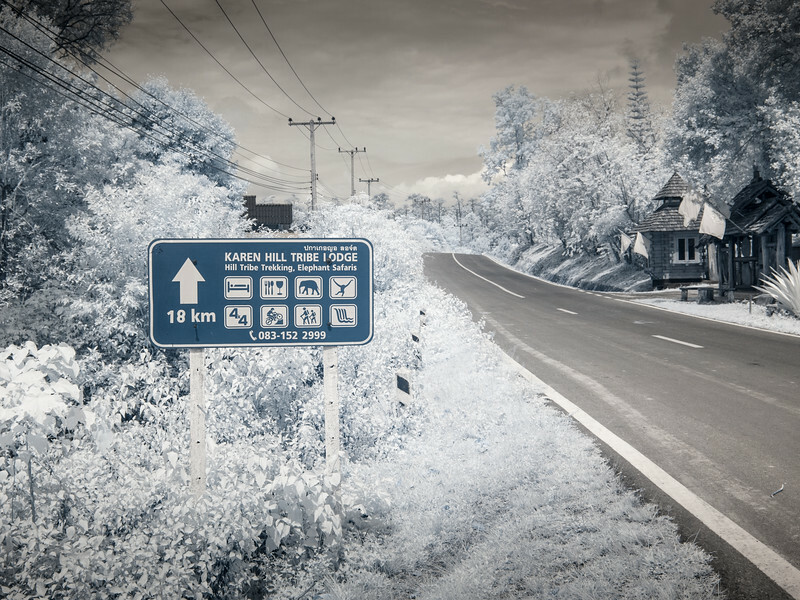 The road to hill tribe country. 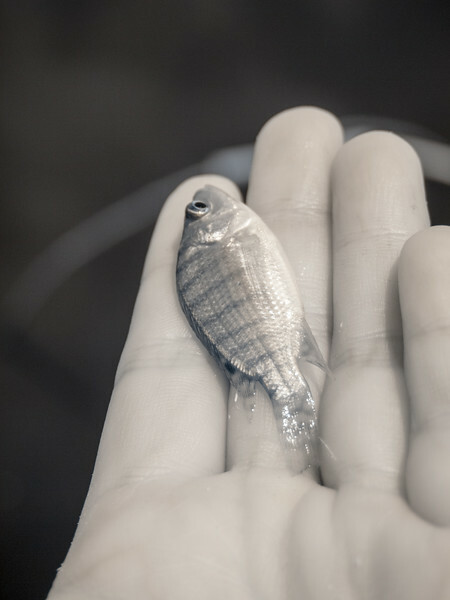 A little fish Woody pulled from a net in the pond. 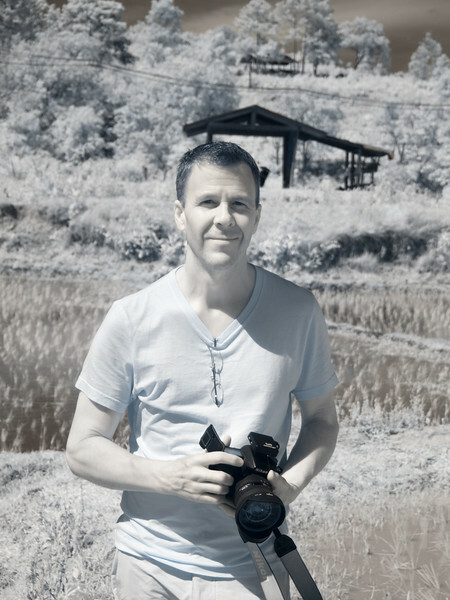 Woody got a shot of me. 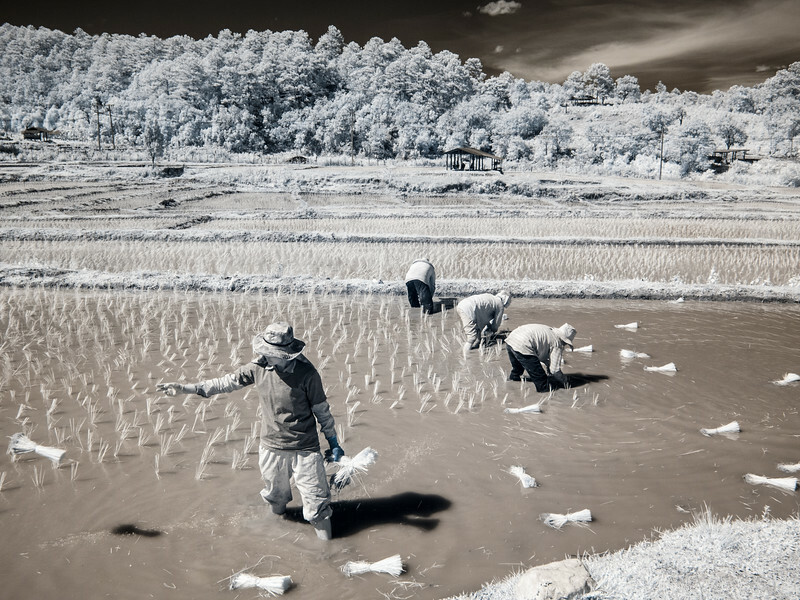 A Karen family plants rice in their field.